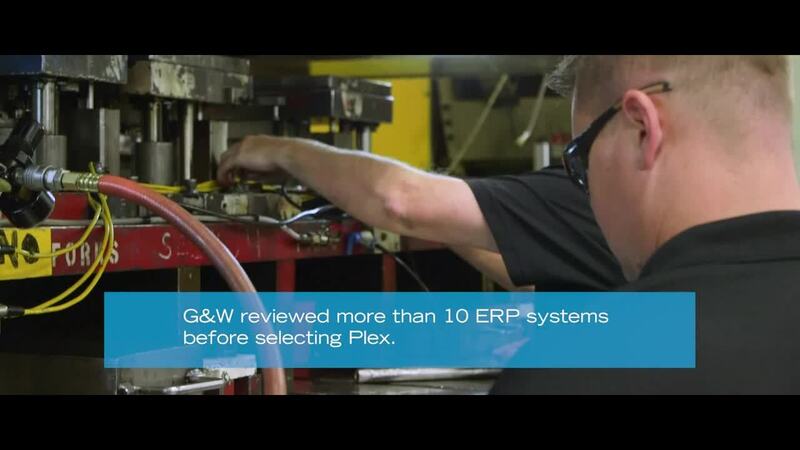 G&W Products Boosts Profitability and Reduces Inventory by 25% with Plex. Though sales weren’t as high as anticipated, G&W increased profitability on existing revenue by 12%. Connects over 200 devices at three facilities in the cloud with a small IT staff and smaller footprint. Lowered inventory to less than 40 days on hand. Accesses data anytime, anywhere—can conduct business without having to be on site. The company had to resort to manual, paper-based processes to overcome the limits of its ERP system. Inventory accuracy and traceability were problematic. “Getting buy-in is the first step in really being successful at implementing an ERP system. If Gary had come to us initially and said, here's what we're going to buy and here's what we’re going to use, things may not have turned out as well as they did,” said Jeff Karan, Director of IT. “Now we can sit in a room and pull up whatever auditors ask for within seconds. They're blown away. They walk out of here, smiling and completely impressed with our ability,” Karan said. “That makes us very proud. Whether it’s weld audits or ISO audits or just flat out customer audits, it's really not an issue for us,” said Karan. “Now we are addressing issues that go right to our bottom line because we have valuable details that we never had before. We can click a button and it's right in front of us. Once we focused on real information, we started managing the stuff that matters,” Karan concluded.